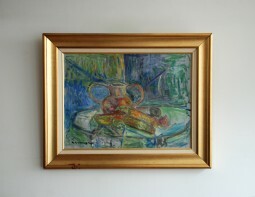 An oil on canvas by Pinchus Krémègne (1890 to 1981), "Nature morte aux épis de maïs" (Still life with ears of corn), painted in 1975. 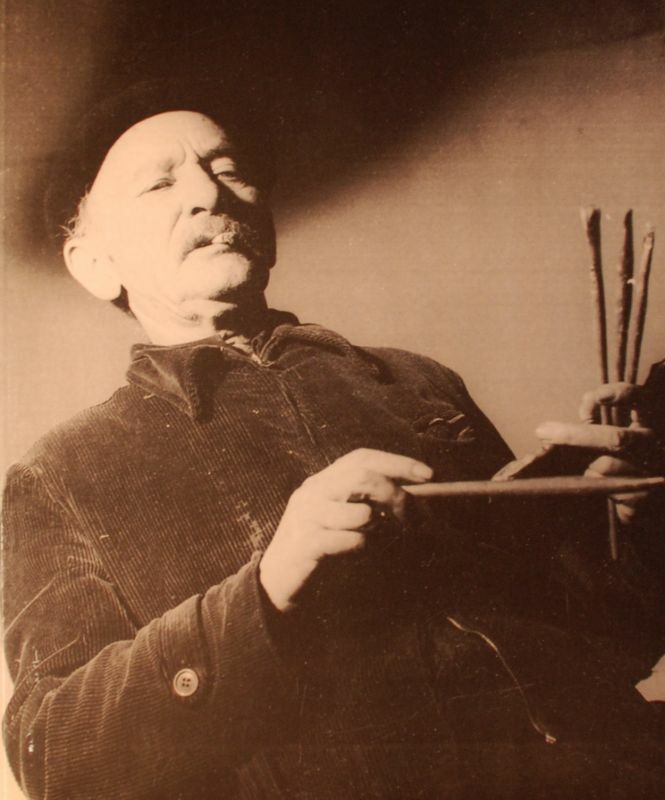 A Belarusian-French artist primarily known as a painter, sculptor and lithographer. 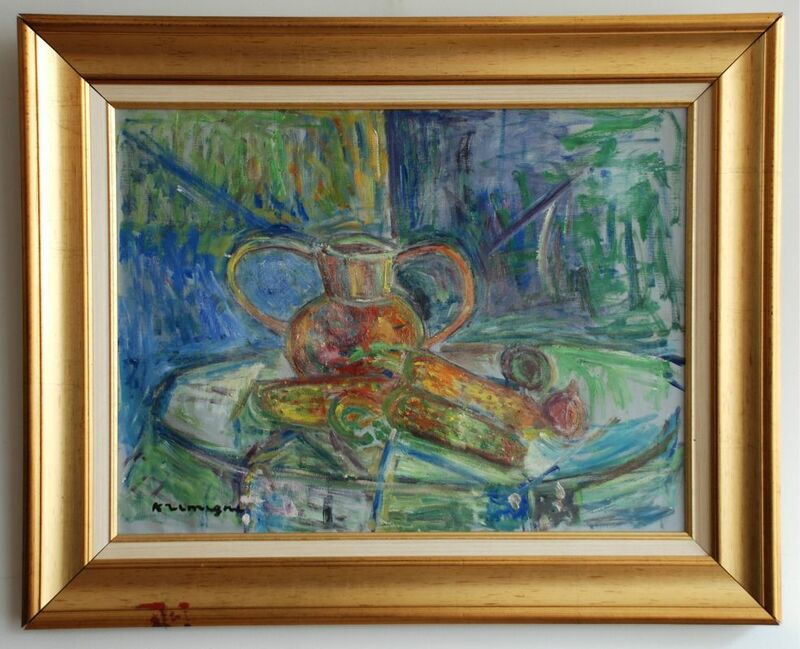 Pinchus Kremegne was born in Zhaludok in Lithuania, and was a friend of both Chaim Soutine and Michel Kikoine. He studied sculpture at the Vilnius Academy of Art, but became a target of the pogroms because he was a Jew, and fled to Paris in 1912. 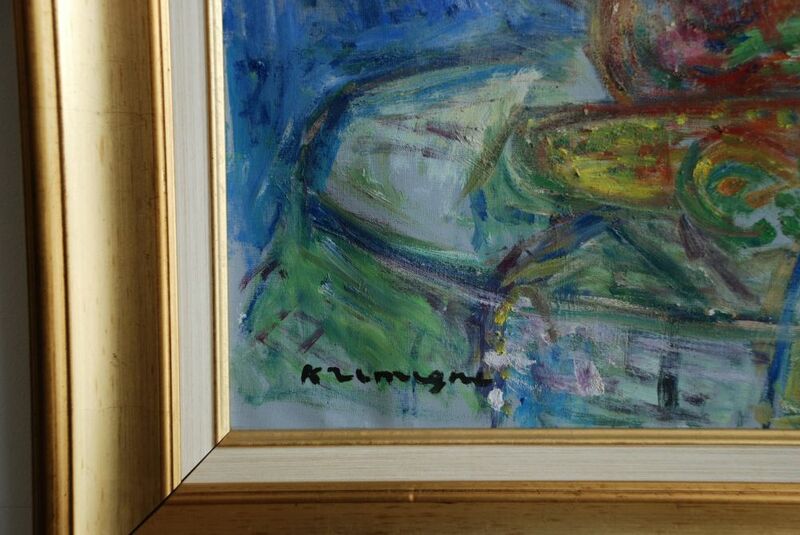 In Paris Kremegne joined the group of painters of Montparnasse and soon became one of the respected residents of La Ruche, together with Chagall, Modigliani and others. 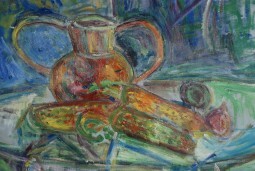 In 1915 he gave up sculpture in order to dedicate himself to painting. 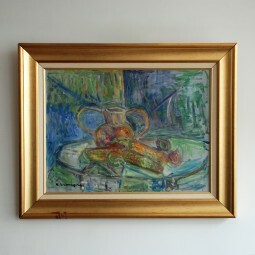 It was he who encouraged Soutine to come to Paris. 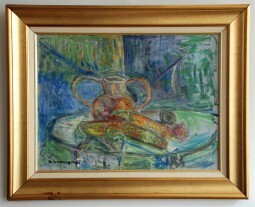 He was considered by his peers to be one of the greatest painters of his time. In 1918 he visited the small town of Ceret in the foothills of the Pyrenees. Over the ensuing years he became increasingly attached to the town, making frequent visits from Paris. 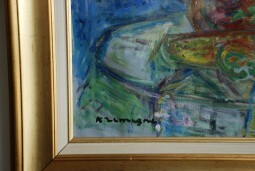 In 1960 he left Paris to live and paint in Ceret, and had a house built there around this time. This small unassuming house, a reflection of the man himself, is nestled into the mountain and overlooks the village. Kremegne lived there for the rest of his life. Later Ceret was to attract many other prestigious painters such as Picasso. 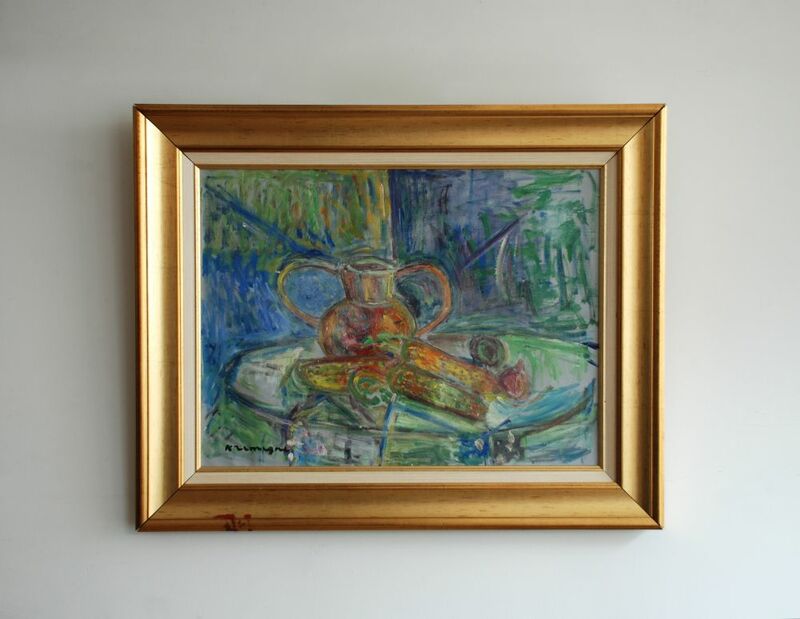 Ceret has an important Museum of Modern art exhibiting artists such as Matisse and Picasso. 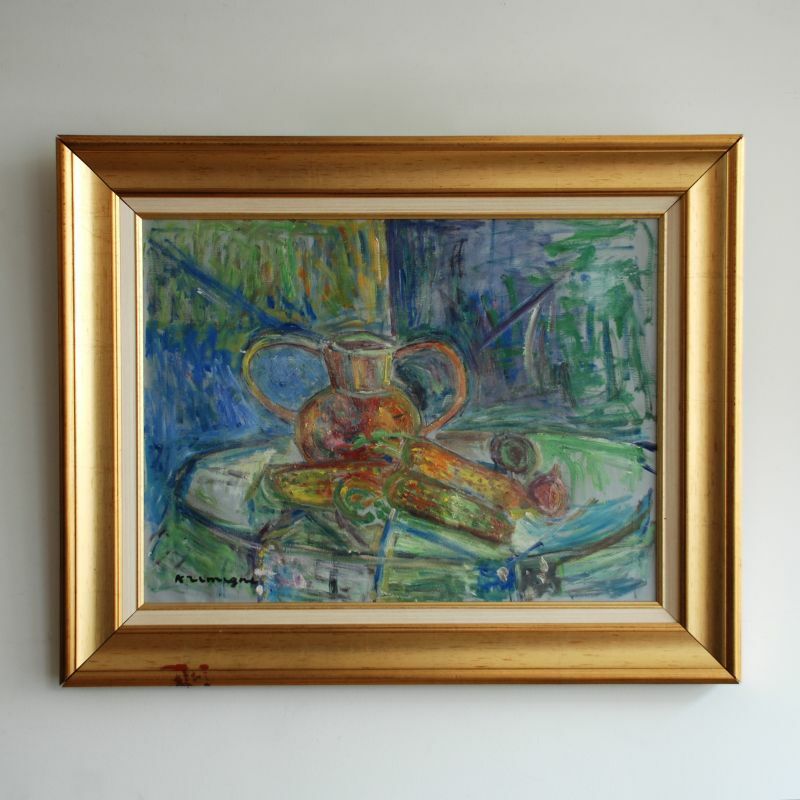 The museum owns a fine collection of works by Kremegne and staged an exhibition in 1990 to celebrate the centenary of his birth, producing an accompanying publication to celebrate his life and work. He was also remembered with a posthumous one-man show in the Quartier Les Halles in Paris in the 1990s. 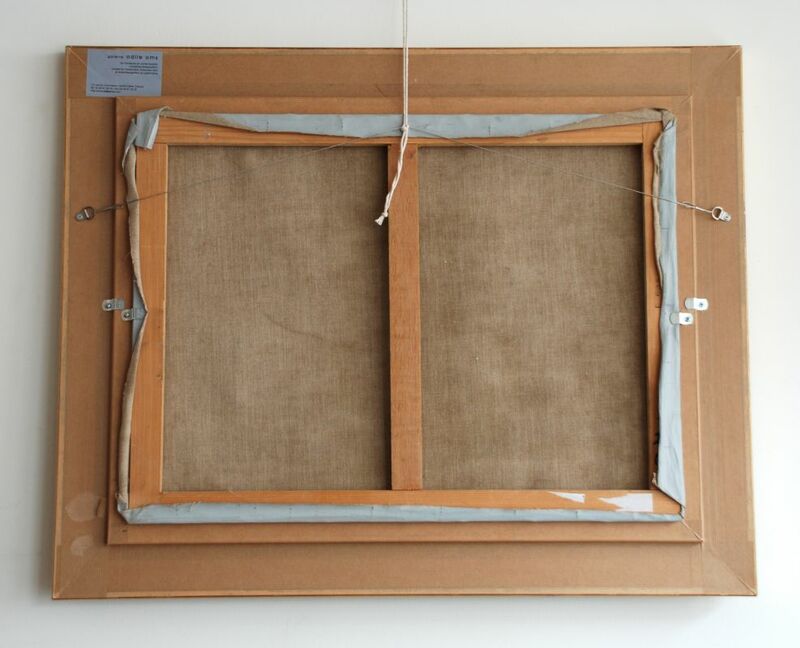 As a music fan, Kremegne claimed that he organized his canvasses like a maestro his orchestra. To him each colour was an instrument which played its own score. 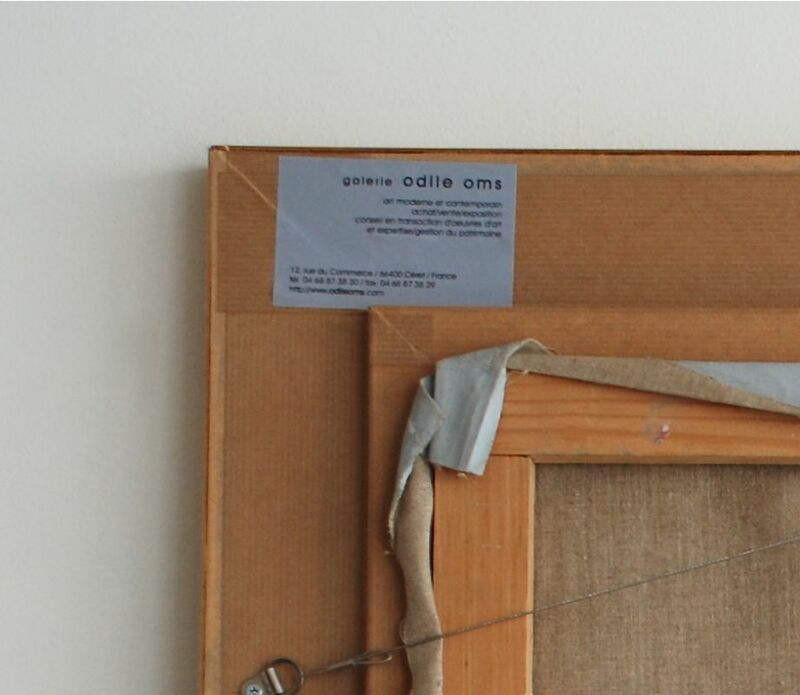 The painting was sold in 2007 for 10,000 euros by Galerie Odile Oms in Céret. 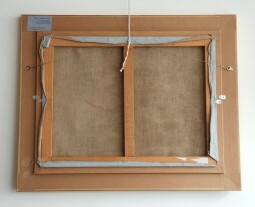 The painting is 61 cm wide and 46 cm high. 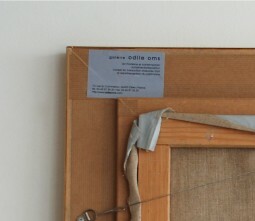 The frame is 78 cm wide, 5.5 cm deep and 64 cm high.